911 season 2 fall finale video: Bobby proposes to Athena! 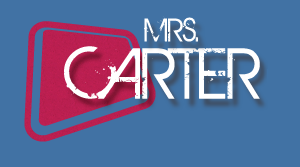 Mrs. Carter: Is the 911 season 2 fall finale going to be the most wonderful time of the year — at least for Bobby? Based on the new promo below for this episode that was just released by Fox, it definitely does seem like that is possible! This promo makes it clear that Bobby is going to get down on one knee and propose to Angela Bassett’s character, making it clear that he didn’t want to wait another moment to have an opportunity to do it. Do I get the idea of wanting to propose on Christmas? Absolutely, since everything just feels special and incredibly romantic. That doesn’t mean, though, that Athena is going to say yes! There’s a lot that she has to weigh and, beyond just that, this is a show that does love to create enormous cliffhangers. Don’t be shocked if this is one of the many cliffhangers that the series chooses to doll out in the closing minutes of the episode. As for what’s happening elsewhere, apparently you’re going to have a case of someone actually getting themselves trapped in a giant Christmas present. A big part of what makes this show so interesting is that somehow, the writers find a way to get creative and strange with their storytelling. How do they think of this sort of stuff? I want to be a fly on the wall in the room just to hear some of these pitches play out. The first responders face personal and professional challenges in the all-new “Merry Ex-Mas” fall finale episode of 9-1-1 airing Monday, November 26th on FOX. While it may seem on the surface that Fox is giving a heck of a lot away here, there actually is so much more that could be handed out. There are other storylines in this episode that are still a secret and, beyond just that, we’re left to wonder what the holiday is going to look like for Abby. So when could 911 return on the other side of the fall finale? Depending on what Fox decides, it could be a while — think in terms of March! There’s no real reason for the network to rush things along given that this isn’t a show that is operating with a full-season order of 22 episodes! The plan, at least for now, seems to be to do something here that Fox has also executed with Empire — a show that has to be considered one of the other big hits that they have.